iCliniq › Ask a doctor online › Health Articles › Anxiety Disorder › Anxiety: an Everyday Occurrence or Is There Something More to It? Anxiety: an Everyday Occurrence or Is There Something More to It? Occasional anxiety is a normal part of life. One might feel anxious in certain situations like being faced with a problem at work, while speaking in the presence of a large audience, before taking an important exam, or while taking an important decision. When this anxiety becomes pervasive enough to interfere with other aspects of our daily functioning, it becomes a disorder. Anxiety disorders are not transient worries or fears which may occur as a part of everyday life. In anxiety disorders, the fear becomes persistent and refuses to go away. This can serve to impede one’s performance in the professional and personal spheres. Generalized Anxiety Disorder is characterized by diffuse and persistent worries about everything in everyday life. It may start with experiencing fearfulness, palpitations, tremulousness of the hands and feet and profuse sweating. People afflicted with this will not be able to relax, startle easily, and have difficulty concentrating. They may also experience restlessness and will not be able to sit still. They may also experience vague physical symptoms in the form of headaches, muscle tension, muscle aches, lightheadedness, feeling breathless, nausea, sweating and a compelling need to go to the bathroom. Panic Disorder, on the other hand, may have symptoms similar to that of Generalized Anxiety Disorder. However, these symptoms do not last through the day as in the case of Generalized Anxiety Disorder. Instead, they tend to occur in the form of discrete attacks. These panic attacks usually terminate within ten minutes. During a panic attack, one may experience sudden and repeated fearfulness, have a feeling of losing control of the situation and going crazy, have an intense worry of having the next attack, avoid places or situations where panic attacks have occurred in the past. As with Generalized Anxiety Disorder, physical symptoms like racing of the heart, breathlessness, tingling and numbness, chest pain etc., may also be experienced. People with Social Phobia have a difficult time being around other people. They feel anxious in the presence of crowd and strangers. Although they would want to speak to others, they cannot bring themselves to do so and are worried by it. People with social phobia feel embarrassed and extremely self-conscious in the presence of others. They tend to have irrational worries about others judging them for the manner in which they walk, speak or behave in others’ presence. They tend to worry for days on end before an event where there is a chance of them being in the midst of others. Due to this persistent worry, they start avoiding such events or situations and isolate themselves. This might result in secondary depression. Research has shown that anxiety disorders run in families. The exact cause is yet to be pin-pointed. Several parts of the brain are involved in the genesis of anxiety disorders and amongst these, the part named amygdala, assumes the central role in fear and emotional regulation. On-going stress and environmental factors also contribute to anxiety disorders. Like all psychiatric diagnoses, anxiety disorders are diagnosed on clinical grounds. This would entail talking to a psychiatrist or any other mental health professional who would then direct you to a doctor. Brain imaging techniques have found changes in the blood flow patterns to parts of the brain regulating fear and anxiety in those with anxiety disorders. However, these techniques are mostly used for research purposes and are not used routinely for the diagnosis. A physical examination is mandatory and a few blood tests may be ordered to know the basal functioning. 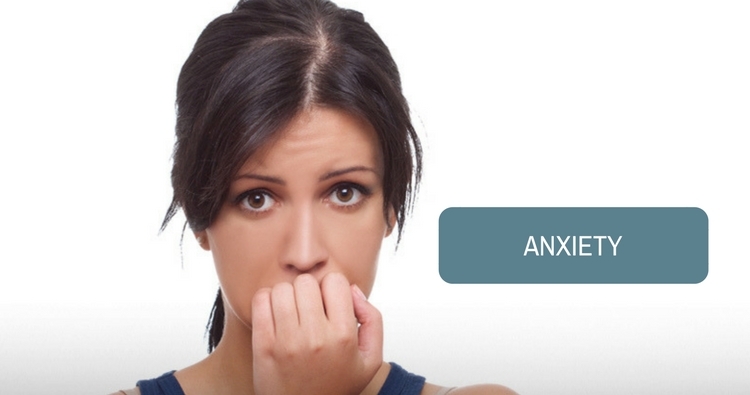 Anxiety disorders are treated with a combination of talk therapy and medications. All people with anxiety disorders may not require medications. Mild anxiety responds to talk therapy alone while the more severe forms require pharmacological intervention. Cognitive Behavioral Therapy - In this form of therapy, a person is taught to modify his/her thinking patterns. This helps them to react to anxious situations in a calm and controlled manner. This requires active efforts on the part of the person afflicted with anxiety disorder. This takes place gradually over a number of therapy sessions. Medications - Antidepressants, which are used to treat depression, are also employed in the treatment of anxiety disorders. Anti-anxiety medications may also be used for rapid relief from anxiety. Antidepressants take a minimum of two weeks to exert their actions. Anti-anxiety medications called benzodiazepines act faster than anti-depressants. Both classes of medications are safe and well tolerated. However, they need to be administered under the surveillance of a mental health professional. These medications are not continued indefinitely but are weaned off after a period of 6 to 9 months. Do you have a question on Anxiety Disorder or Generalized Anxiety Disorder?